A Brief History of Skylake Overclocking Supermicro C7H170-M Overview Motherboard Features and Visual Inspection Supermicro C7H170-M BIOS Supermicro C7H170-M Software Motherboard System Performance Motherboard Processor Performance, Short Form Motherboard Gaming Performance The Core i3-6100TE: An Unlikely Candidate? Core i3-6100TE Office and Web Performance Core i3-6100TE Professional Performance: Windows Core i3-6100TE Professional Performance: Linux Core i3-6100TE Gaming Performance: High End GTX 980/R9 290X Base Clock Overclocking the Core i3-6100TE: Scaling Base Clock Overclocking the Core i3-6100TE: The i5 Competition So Why Do We Not See an Overclockable i3 CPU? When a new Intel platform hits the market, there are two primary product chains - processors and chipsets. For the most part, at least in the consumer space, any processor should work with any chipset, with the higher end chipsets offering more functionality at an added cost. 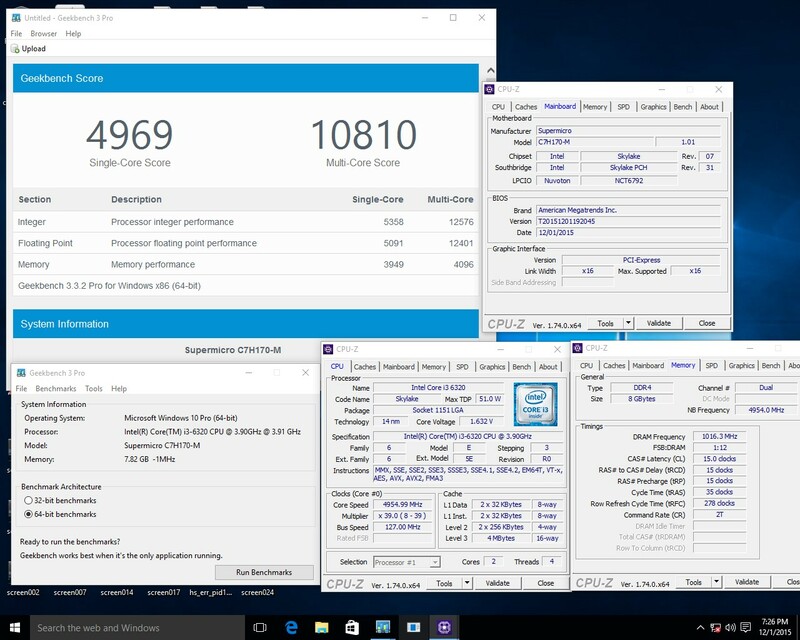 For Skylake, Z170 it's the top model, with H170/H150, B150, Q150 and H110 filling the rest, with one more business focused. 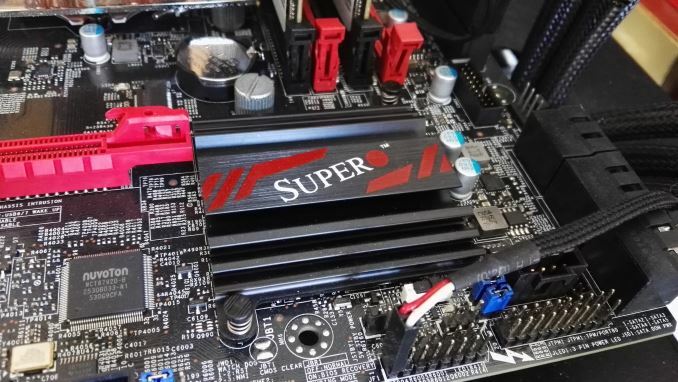 The Supermicro C7H170-M reviewed here has the H170 chipset, but also was the first to come with BCLK overclocking for non-K processors. This is our first proper look at a Supermicro motherboard in a long time, as well as our probe into the brief jump into H170 and non-K overclocking which provides some deep indicators into the current processor lineup. The story of how to overclock on Intel’s latest consumer focused platform reads like novella on envy. The 6th generation platform, codename Skylake, introduced a number of features in the base design to enhance a particular way of overclocking by adjusting the ‘base frequency’ of the processor. 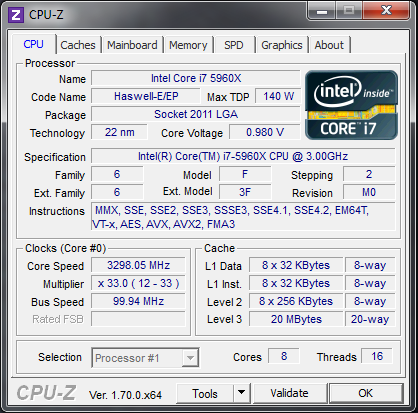 Historically (pre-2009), most overclocking was performed in this way, but with the introduction of Nehalem and especially Sandy Bridge processors Intel had changed the fundamental way different parts of the processor were synchronized and users were limited to ‘multiplier’ overclocking, and only on certain CPU parts that enabled the feature. Nominally the frequency of a processor is the base frequency (typically 100 MHz) multiplied by the CPU multiplier (anywhere from 12-42 depending on the model). Thus for a processor like the i3-6100TE in this review, it runs at a base frequency of 100 MHz and a multiplier of 27x, giving 2700 MHz (or 2.7 GHz) as the frequency. Since Nehalem/Sandy Bridge, and as more functionality was integrated into the processor, more features were tied to the base frequency of the processor. As a result, PCIe frequency (the speed at which the root complex of the processor communicates with graphics cards), chipset/DMI frequency (between the CPU and IO ports) and DRAM frequency (CPU to memory) were all tied into this value. Minor adjustments in the base frequency could take place (110-113 MHz on Sandy Bridge, 107 MHz on Ivy Bridge/Haswell, 104 MHz on Broadwell), but when it was pushed too much either the PCIe communication would fail or the chipset communication would fail – the latter being important as it could lead to corruption of data stored. 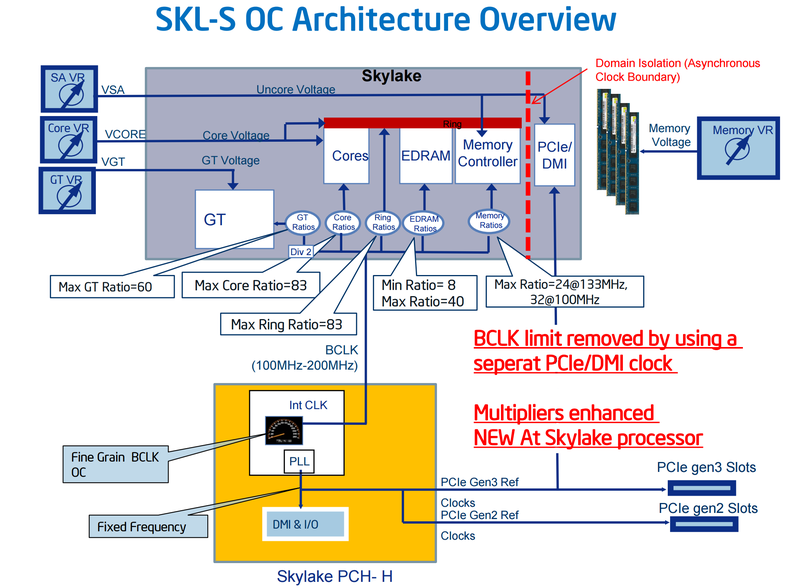 For Skylake, the layout of the CPU frequency generation was adjusted. Either as a fundamental design choice or due to other factors, Intel decided to decouple a large number of aspects of the platform from the fundamental base frequency, either providing transition segments or having separate base frequency generators. This, at a high level, means that different parts of the system can operate at different base frequencies as well as different multipliers, and the decoupling mechanisms would handle how data is moved around. This looks like a complex diagram and I won’t fool you, implementing this is a fundamentally complex problem. In the same way that designing games for 60 FPS only makes it a lot easier to create the game, if there was one constant base frequency it would be easier to design. But in a nutshell, there are three frequency areas: the core/memory/uncore, the PCIe communication and the chipset. This means we can adjust one of these three without affecting the others. When we normally overclock a processor, it is that first one of core/memory/uncore that matters the most. For the Skylake processors, this was supposed to be limited to certain high-cost CPU models, such as the i7-6700K, the i5-6600K and the mobile i7-6820HK - but Supermicro was the first to find a way to enable this method in two different vectors. 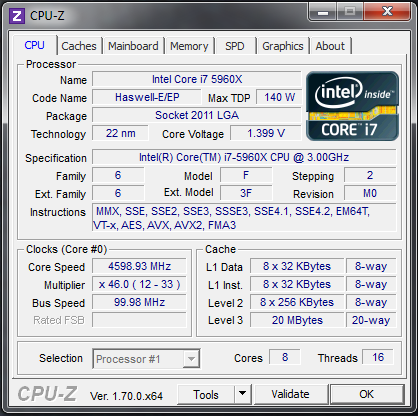 Firstly, as a function of feature set: base clock overclocking was only designed to operate on Z170 chipsets – Supermicro enabled this on a H170 chipset. Secondly, as a function of processor: base clock overclocking was only designed to operate on K/HK processors – Supermicro enabled this on the other processors from Intel. We reported this when it was first becoming known to the media. The overclocker Dhenzjhen, an employee of Supermicro, used a Core i3-6320 and pushed it from 100 MHz up to 127 MHz by increasing the base clock on his C7H170-M motherboard using custom firmware. At the time, the method of making this change was not being promoted. As we have since learned, it requires a separate external clock generator for parts of the processor such that they would not change when the CPU core was moved above 100 MHz. These clock generators are standard on Z170 motherboards, but moving them down to a H170 series motherboard, along with a series of custom firmware to manage the change, opened up non-K and non-Z overclocking on the Supermicro motherboard. Other motherboard manufacturers quickly followed suit to include the method. ASRock were the loudest, stating that the adjustment was easy to make on motherboards that already had the secondary clock generator (because the same layouts are made for Z and H series chipsets sometimes), and from CES they were poised to release a series of motherboards that enabled overclocking in this non-Z and non-K methodology, even going as far as showing enterprise level motherboards with the feature, potentially allowing Xeon based processors to be overclocked. The other three major motherboard manufacturers were fairly tight-lipped on the matter by comparison. There are obvious avenues where having overclockable processors would be helpful to parts of the industry, especially when it was the norm back in the early part of the century. On the Xeon side, it would aid enterprise customers who prioritize response times (such as the financial industry) and revamp the supposed ‘high response time’ products that currently existed with a 3% overclock. For the consumer and regular customers, it would enable the mythical ‘overclockable dual core i3’ processor that has been on the lips of enthusiasts. After the overclockable Pentium G3258 being launched in 2014 not offering that great performance when overclocked, enthusiasts are interested in the overclocked i3 performance metrics. Also, if all CPUs are overclockable, it means that perhaps the highest frequency part isn’t what you need, and more money can be spent elsewhere. However, the ‘feature’ seems to have been taken away as quickly as it was introduced. We reported that only sixty days after our initial coverage on the feature, ASRock had removed all advertising and references to their upcoming line of motherboards designed for base clock overclocking. Every ASRock motherboard on the market that had an updated BIOS for this feature had another update which removed the feature. ASRock were unwilling to say on the record the reasons why the feature was removed, and why the advertising had been pulled. We noted that because the other motherboard manufacturers had not been as head strong, there was less of an effect and the removal focused around ASRock. We also contacted Supermicro at the time, and were told they were monitoring the situation but did not mention if they had to push an update. Of course, there has been immense speculation as to what had happened, if there was a push from a certain direction, or if the microcode update (to 0x76 as above) from Intel had purposefully broken or locked the feature. Considering the potential adjustment in CPU/system sales that might occur as a result of this feature, a number of possible theories emerged. It should be noted that the BIOS versions that support non-K overclocking for ASRock motherboards are still available for download, but due to the microcode update it may not be possible to roll back to a previous version. If someone buys an ASRock motherboard with a BIOS version before the update, it could be flashed to enable this however your mileage may vary as to which BIOS version the motherboard will have out of the box. The planned motherboards that ASRock had with this feature out of the box were all mothballed when the decision to pull the feature was made. It could be considered that a user gets a working overclocking motherboard and keeps it as is, without updating the BIOS – and not updating a BIOS accounts for most motherboards sold anyway. The motherboard that started the ball rolling on this feature, the Supermicro C7H170-M (which is the motherboard in this review) is still for sale at Newegg, currently at $128 on 3/17. 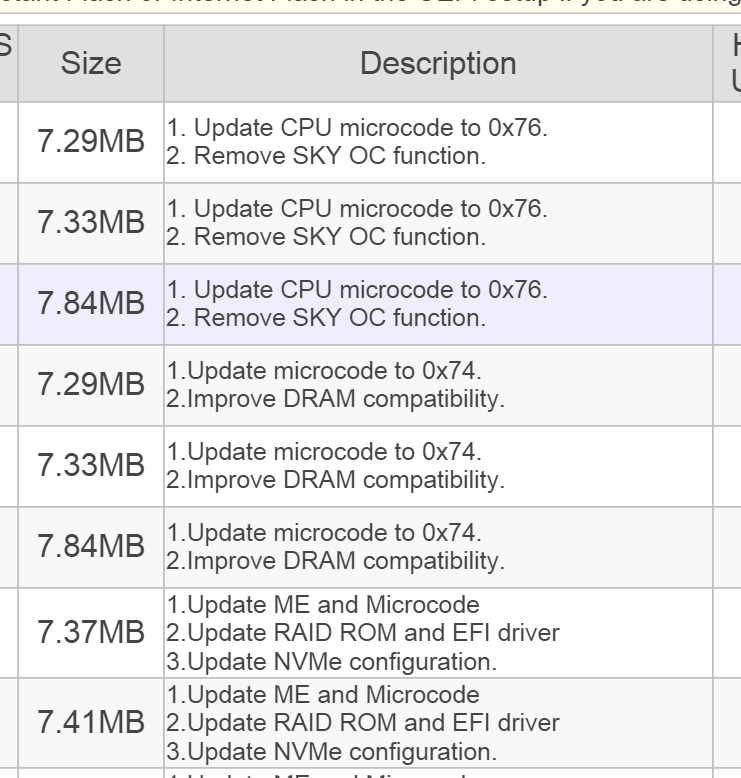 This doesn’t mention the BIOS revision however, and the sole BIOS on the Supermicro website does not mention a date or a changelog, so at this point it is hard to tell the state of play. The motherboard has not been removed from sale at least. So where does this leave us? We had the motherboard and Core i3 overclocked and tested, but the series of events throws up a number of questions if the data is even barely relevant any more. Thankfully, waiting until the past week has changed this. Under the radar, it seems ASRock is still trying to release motherboards with the feature. Various tech websites have picked up new listings for the H170 Performance/Hyper and B150 Gaming K4/Hyper, with base clock overclocking as a core feature, although we suspect that ASRock will not put out a formal press release announcing these products so as to not be seen as promoting a non-Intel supported feature. It is unclear if ASRock has found another way to implement the feature, or is purposefully keeping the microcode for this model held back, and I’m sure if we asked they wouldn’t tell us. But this brings me back to this review. It sounds as if the base clock overclocking saga is being played out like a panto and we’re not sure who is in the lead role, who is the panto dame, the comic lead or the villain in this context, purely due to a lack of transparency. Either way, here’s what we’re going to do here. The Core i3-6100TE: An Unlikely Candidate? Supermicro C7H170-M Overview A Brief History of Skylake Overclocking Supermicro C7H170-M Overview Motherboard Features and Visual Inspection Supermicro C7H170-M BIOS Supermicro C7H170-M Software Motherboard System Performance Motherboard Processor Performance, Short Form Motherboard Gaming Performance The Core i3-6100TE: An Unlikely Candidate? Core i3-6100TE Office and Web Performance Core i3-6100TE Professional Performance: Windows Core i3-6100TE Professional Performance: Linux Core i3-6100TE Gaming Performance: High End GTX 980/R9 290X Base Clock Overclocking the Core i3-6100TE: Scaling Base Clock Overclocking the Core i3-6100TE: The i5 Competition So Why Do We Not See an Overclockable i3 CPU? This was really a shame that this article was not testing a regular i3 with a normal tdp, it would have shown a definate overclock to 4.5ghz and beating stock i5 by a good margin. Yeah, is there a section that explains why a 6100 wasn't used? Hardly the 300a was a guaranteed 50% oc affecting both cpu, FSB and memory on a socket giving a clean & supported widely deployed set of frequencies, without any drawbacks. It meant a relatively cheap Celeron could compete with top of the line PII's using slower cache memory on Slot riser cards. The awesome thing with the 300A was the 128KB of full speed cache. I beleive the PII's had double the cache but at half the speed. I loved the 300A - possibly my favorite processor of all time because of when I got it, etc. I had a friend who did the hack to go dual socket 300A's. I remember this whole problem of wanting to run 98SE, but only the NT kernel supported multiple CPU's/sockets/cores (all the same back then...memories). Voodoo 2 and the 300A. The good old days. The point is that CPUs get thermally limitted, increasing volts can increase Watts in a very small area. Therefore there's some sense in trying out a power efficient chip, which has headroom.